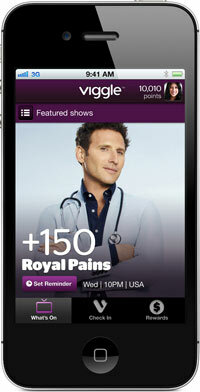 Viggle, a company supporting mobile loyalty rewards programs, acquired tech company Loyalize, which enables brands to engage with live TV audiences on mobile devices. The two began putting the deal in place after creating a platform that attracted a high number of viewers during the Super Bowl to answer sports trivia questions and vote for their favorite commercials. Participation during the 54th Annual Grammy Awards also confirmed the decision, according to Chris Stephenson, Viggle president, who admits being in conversations with some big-name networks. About 78% of active Viggle users checked into the Grammy Awards Sunday night, and 64% of this group played along with the mobile game Viggle Live, answering real-time questions, voting and responding to polls related to the awards ceremony. TV brands and broadcasters wanting more attention from consumers must get them to interact with the content as it airs. Viewers used Viggle to check into the awards show, and then relied on Bing to find information about the artists and the event. Stephenson boasts about 150,000 downloads since its Jan. 25 launch. The company defines users as those who actively check in on an average five TV shows daily and remain on the platform for about 70 minutes per session each time. The top key performance indicator for marketers -- tune in -– drives "share of voice," according to Stephenson. "Mix that with bonus opportunities and loyalty rewards, and it becomes quite contagious," he said. "'Gossip Girls' gained "a six-x share of voice uptick factor relative to Nielsen ratings, and 'Fear Factor' gained a four-x uptick share factor." For Stephenson, the acquisition represents a "development strategy" that goes beyond directly supporting networks. The plan to broaden the business model through the Loyalize acquisition puts the company in the white label business, where brands, along with networks, will have an option to license the technology. The strategy also will support loyalty for games, music, movies, social and other Internet-type entertainment, such as connected television shows on Hulu and YouTube. Aside from Viggle, Loyalize has recorded success through Fango, a partnership with Yahoo!7 in Australia. The platform allows TV fans to have real-time interactive experiences with other viewers before, during and after a show. It gives them access to a guide that illustrates viewing trends; the ability to earn awards in the app for participating in activities; and access to videos, blogs and videos related to the show.